Russian oligarch Oleg Deripaska is distancing himself from his massive aluminum company that's reeling from crippling US sanctions. Rusal, the world's second largest aluminum producer, said in a statement Friday to the Hong Kong stock exchange that Deripaska, its founder, has stepped down from his role as a non-executive director on its board. Rusal, which produces 7% of the world's aluminum, has been under intense pressure following US-imposed sanctions, which targeted a number of oligarchs and government officials including Deripaska. The measures were designed to punish Moscow for meddling in the 2016 US presidential election. For Rusal, they prompted a scramble among international aluminum buyers and commodity exchanges to sever ties to the company, putting its survival in doubt. The company's stock lost about two-thirds of its value in the wake of the sanctions announcement. 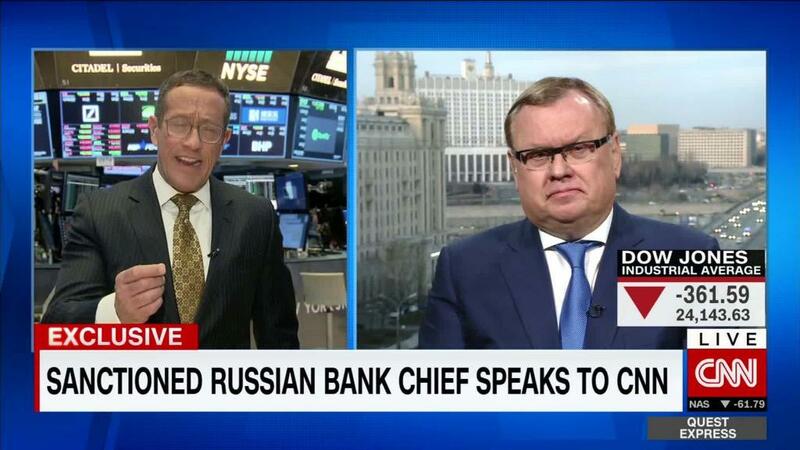 "I understand [Deripaska] is quite ready to ... agree on these conditions for the sake of the company, for the sake of the people who are working at these companies," VTB Bank CEO Andrey Kostin told CNNMoney's Emerging Markets Editor John Defterios at the St Petersburg International Economic Forum. Kostin said VTB Bank has stopped lending to Deripaska, pending a decision by the US government on whether the oligarch has done enough. The Russian billionaire, who has close ties to President Vladimir Putin, agreed last month to reduce his stake in EN+ Group -- the holding company that controls Rusal -- to below 50%. He also resigned from the board of EN+. Rusal is now taking steps to loosen its ties to EN+. All seven Rusal directors whose departures were announced Thursday had been nominated for their seats on the board by EN+.